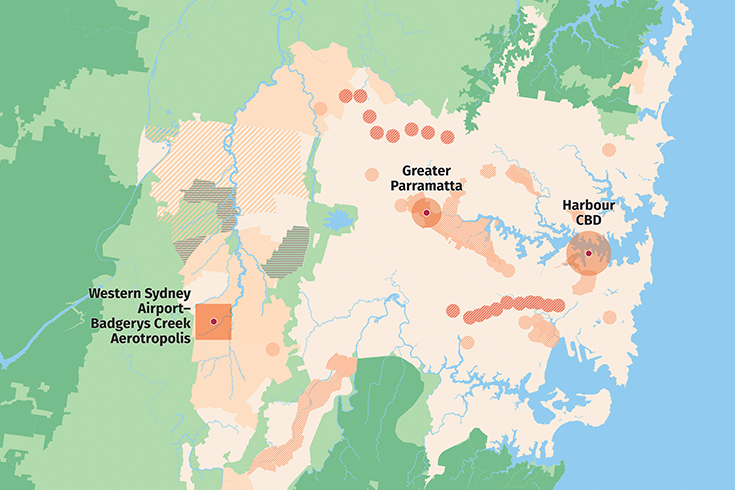 Greater Sydney will be a metropolis of three liveable, productive and sustainable cities: Western Parkland City, Central River City and Eastern Harbour City. 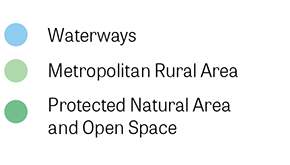 The established Eastern Harbour City - building on its recognised economic strength and addressing liveability and sustainability. 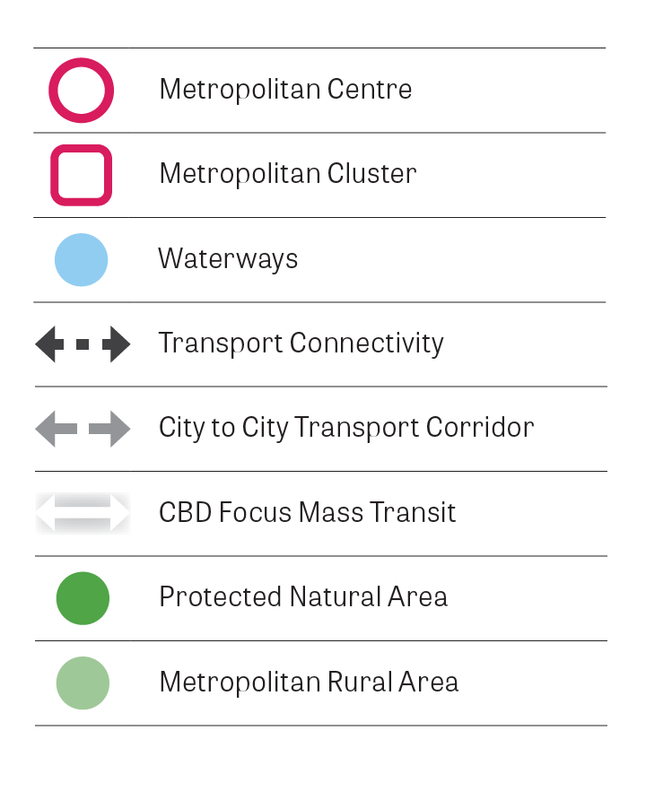 The developing Central River City - investing in a wide variety of infrastructure and services and improving amenity. 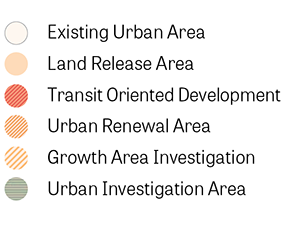 The emerging Western Parkland City - establishing the framework for the development and success of an emerging and new city. 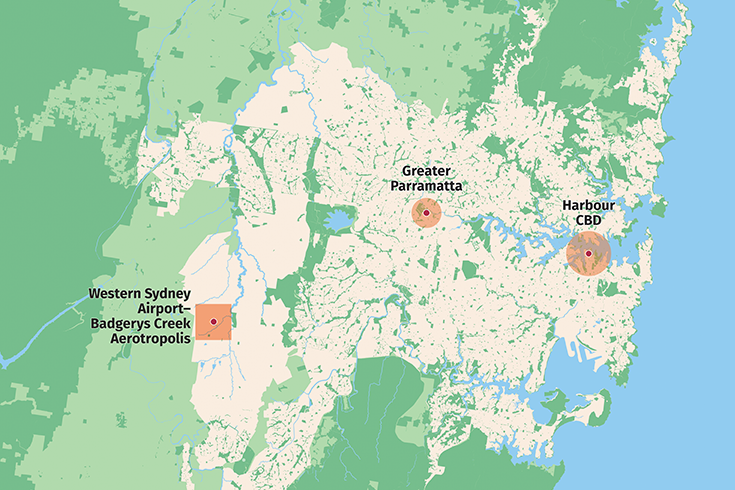 A parkland city, a river city and a harbour city with increased urban tree canopy and a network of open space, framed by a protected natural area. 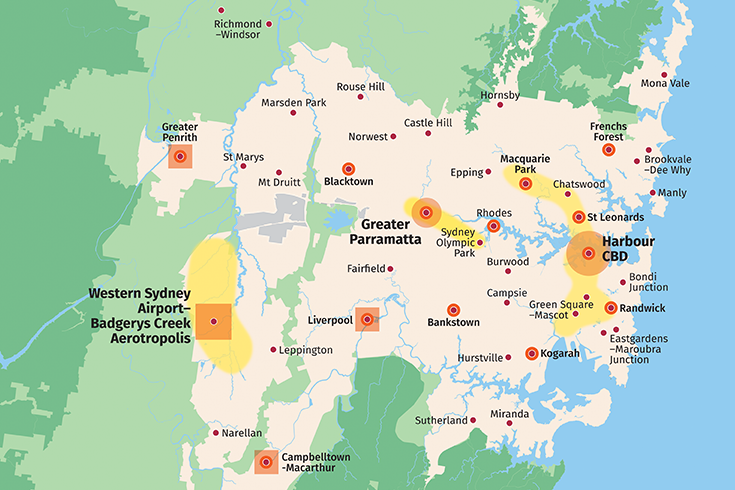 An additional 725,000 dwellings creating new communities and urban renewal areas that support new and existing centres and enhance local character. 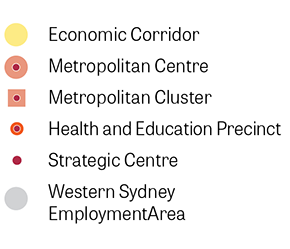 Places for 817,000 jobs with a strong focus on economic corridors, health and education precincts and strategic centres. 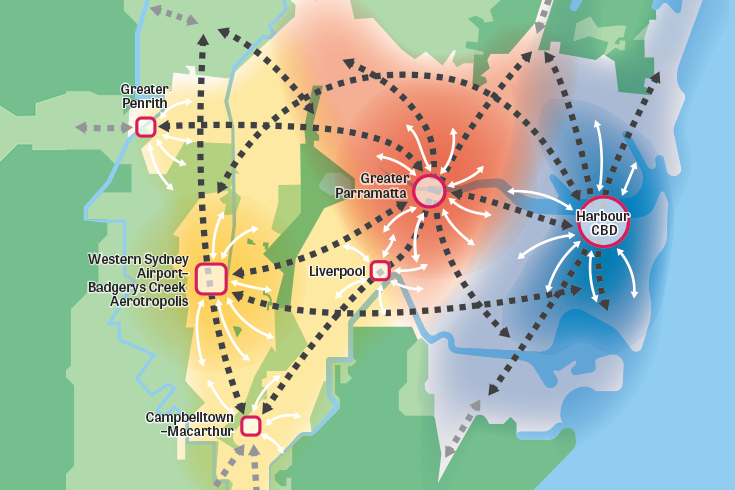 A 30-minute city that connects people to jobs, businesses, schools and services, supporting the economic efficiency of trade gateways. 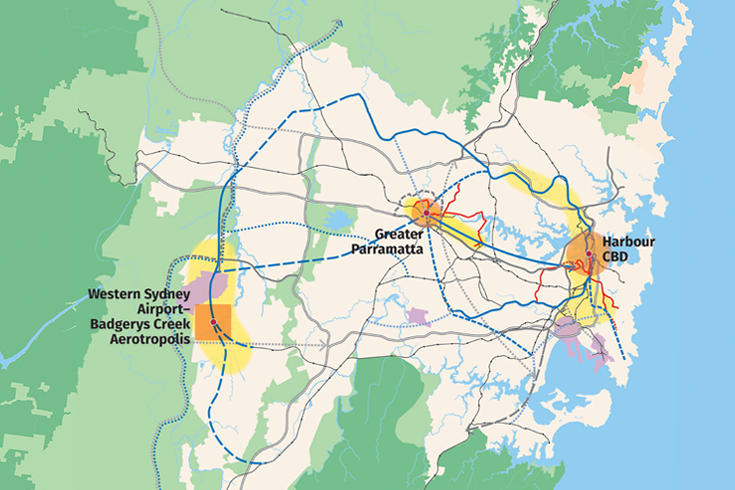 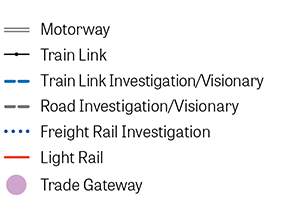 Committed projects of Parramatta Light Rail and Sydney Metro West are subject to final business case. 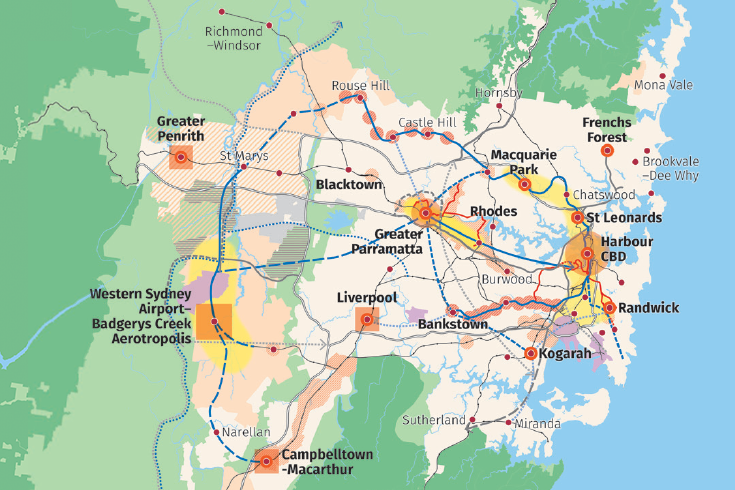 A vision for a metropolis of three cities where the people of Greater Sydney live within 30 minutes of their jobs, education and health facilities, services and great places.